It began in Japan with two childhood friends Takatoshi and Takayuki . Reunited once again, having accomplished their dreams, they realized there was just one more to go: opening up a ramen shop in New York City. Although NYC has known its share of delicious ramen , it was too obvious that merely the surface of ramen cuisine was shown. 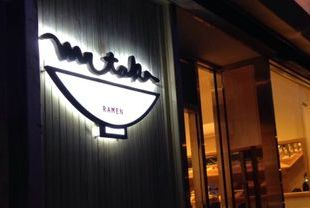 Takatoshi and Takayuki decided to put together their talents take on the big apple by bringing the delicious variations of ramen from Japan. Chef Takatoshi knew that the best ramen requires the best ingredients. He made it his mission and traveled all over Japan to find the most high quality and flavorful ingredients. His journey consisted of making friends along the way and expanding his sense of taste, up to the point he was able to change his ramen recipe seasonally to match the time of year his ingredients were at their highest flavor. 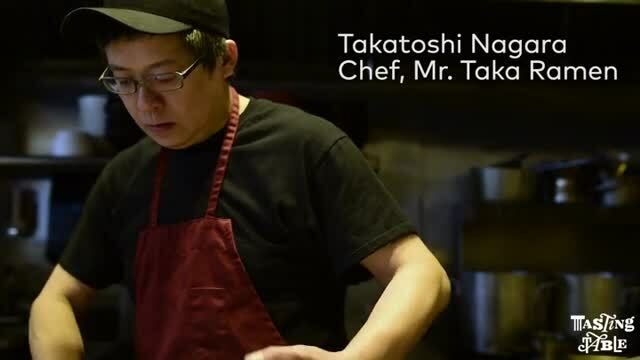 In New York, his goal is make ramen the same way by exploring and discovering the freshest produce and spices for his special ramen. Because of his determination to create his recipe in this way, he is always able to deliver the very best to his customers.